Does anyone know what type of Gar this is? I caught him in the Big Cypress area of the Florida Everglades while Fishing for Largemouth Bass, he was about 7-8 lbs. You never know what you may run into with the Fish of the Everglades! » Photo (Legacy), Photos » What Type of Gar is this? 5 Responses to What Type of Gar is this? Excellent! 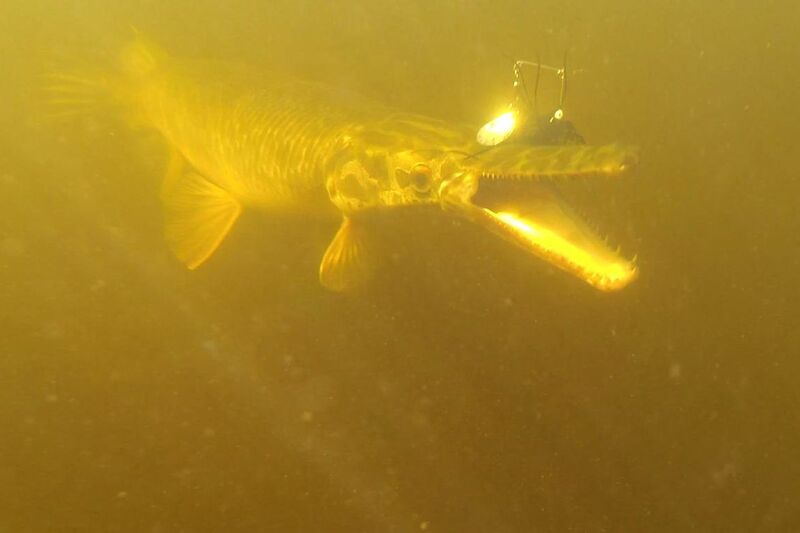 I thought it was a short nosed Gar, but its always great to hear from the experts. It was caught and released in the Holey Land WMA. Looking spotted garish. Snout length vs eye to gill distance. Hard to tell though without a better side and bottom pic. This article shows the difference.